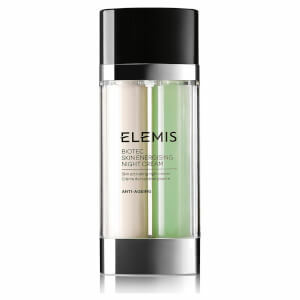 BIOTEC, the NEW Energising Skincare System from ELEMIS gives skin a powerful wake-up call. With ground-breaking technology that energises skin from within, it’s time to switch your skin back on. The ageing process and lifestyle challenges can cause skin function to diminish. Re-boot your skin’s performance for a freshly revived complexion with BIOTEC, the NEW Energising Skincare System from ELEMIS. It’s time to turbo-charge your skincare. BIOTEC has the power to switch the skin back on, igniting a mineral charge for radiant skin. A potent BIO-ENERGY™ complex of encapsulated Zinc and Copper, combined with a trio of acids and Amber, helps to re-boot skin’s performance for a thriving, vibrant and freshly revived complexion. Your skin, your body and your wellness lie at the heart of ELEMIS. ELEMIS was born out of the vision to bring together the power of nature, science and aromatics. To harness the dynamism of the highest-grade actives and create a skincare line that would transform the frontline of the beauty industry. We harness the power of nature and science to create ground-breaking formulations that genuinely transform your skin. Personally prescribed. Sublimely sensory. The experience is exceptional, the results are real. The rich marine and plant actives in the world renowned Pro-Collagen formulations work to delicately smooth and reduce the appearance of fine lines and wrinkles. The ELEMIS high-performance Advanced Skincare range has been formulated to transform the future of your skin. Looking after your body isn't just about diets and detox. A luxurious bodycare ritual can transform the way you feel about your skin and yourself.